Collected insights and reflections about recent transport-related news – your regular food for thought. Nope, not Wellington this time. This was the opening to a story in the NZ Herald during the last week about some of the bus-related issues that Auckland has also been in the thick of recently. It’s a good reminder that we’re not alone when it comes to the trials, troubles and tribulations of arriving at bus services that work for everyone. Some informal vox pop views gathered by the Talk Wellington crew has turned up one possible bright spot being that city workers from the South (Island Bay) are mostly getting to work on time. The large meeting hosted by action group ReVolt in Newtown yesterday (Sunday) will hopefully be well reported on, and the group have also lodged a petition on the NZ Parliament website to fix the network. Local MPs have been wading in, with National list MP Nicola Willis the latest to organise a public meeting – this one to be held in the Karori Community Centre on Thursday 30 August. The Greater Wellington Regional Council’s ‘mea culpa‘ was accompanied by the interesting news that it would be reinstating the off-peak Miramar-Karori service, which connects Massey and Victoria universities as well as Wellington Regional Hospital. A timeframe for other potential changes and review of timetables and capacity on core routes is being given urgent attention. 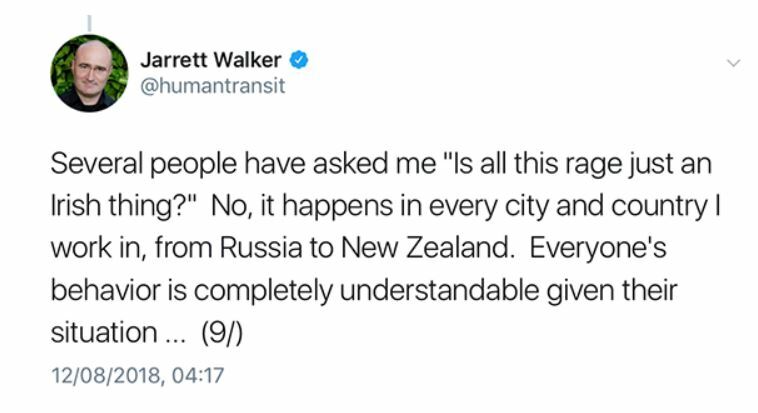 It was also interesting to get some insights into the life of global transport planners by reading a thread on Twitter over the weekend by Jarrett Walker/@humantransit in response to some public ire arising from changes being mooted for Dublin’s bus network.